Every night, I creep into my son’s room and check to make sure that he’s still breathing. He’ll be two and a half in August, but the fear of losing him to SIDS has been with me since before he was born. It is every parent’s worst nightmare and often unexplainable, which somehow makes it that much worse; there is no disease, accident, or mistreatment to blame — it just happens. SIDS (Sudden Infant Death Syndrome) is the sudden death of an infant under one year whose death cannot be explained even after an investigation has been completed, while SUID (Sudden Unexpected Infant Death) is an unexpected death of an infant under one year whose death is not immediately known until after an investigation. Many SUID deaths will later be classified as SIDS, but sometimes these deaths are ruled as accidental strangulation or suffocation in bed. 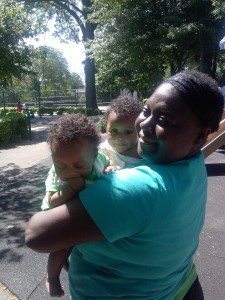 Having been through the parenting thing before, I knew all about SIDS and the risks. 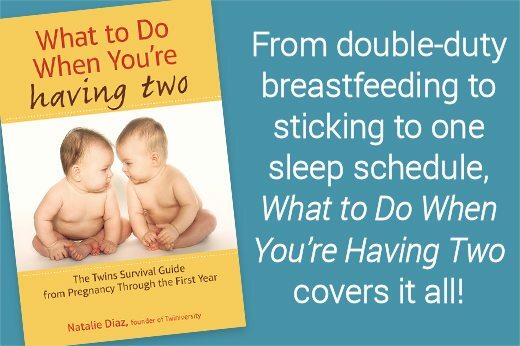 At every one of my son’s doctor’s appointments, my doctor reminded me about safe sleeping, so I was startled the first time I saw my twin girls, born at 29 weeks, sleeping on their stomachs in their isolettes in the NICU. The nurses reassured me that they were fine, because they were hooked up to monitors, but my heart skipped a beat every time they burrowed their faces into their huggie or their monitors went off. One of the first questions I asked is if the girls being preemies meant they were at higher risk for SIDS. Unfortunately, the fact that the girls were born premature, weighing under three pounds, means that they are at higher risk for SIDS, as low-birthweight babies do fall into a risky category. 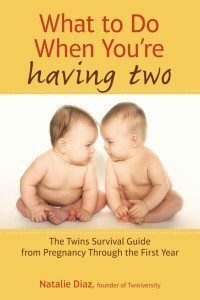 For us parents of multiples, that is a vast majority of us, even if your little ones made it to full-term. 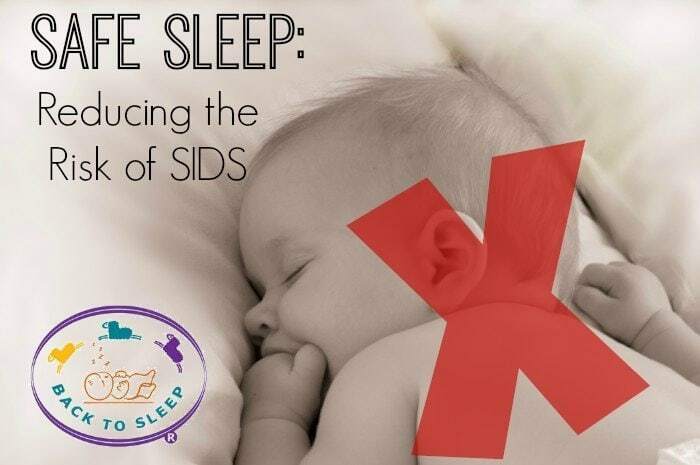 SIDS is terrifying, as it has no warning and no way of stopping it. Thankfully, there are ways to help reduce the risk of SIDS. Make your home and womb smoke-free. Pregnant moms who smoke are more likely to experience the loss of a baby to SIDS, as are families who smoke in the home. If you smoke, try to smoke outside of the house, away from open windows and your children. Try to change your clothes and always wash your hands before handling your babies after you’ve smoked. If you’re pregnant, speak to your doctor about safe ways to beat your cravings. Back to sleep. There’s a reason Halo sleepsacks have a “Back to Sleep” reminder embroidered on them; placing a baby on their back to sleep has been shown to greatly reduce the risk of SIDS. I have had many chats with other mums who face one of the most dreaded baby liquids – spit up. 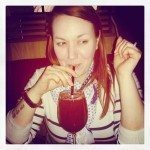 All three of my kids spat-up, and my son was a full-on Exorcist projectile vomiter. Many a parent has worried that their spit-up prone tot will choke if placed on their back and some choose to elevate the crib to help prevent the reflux. My doctor reassured me that babies usually will not choke on their spit up, and often turn their heads to the side when they do, so it dribbles down their cheek. Yes, it’s yucky and results in a lot more laundry, but ultimately is safer than tummy sleeping. Strip the bed. While they may be adorable, stuffed animals, bumpers, blankets, and toys all pose serious suffocation risks to your babies. Instead of blankets, use a sleepsack to keep them warm (but not over heated) and take everything else out of the bed. While those recommendations are the best way to help reduce the risks of SIDS, some parents struggle with putting them into practice, and parents of multiples are left wondering what they can do to protect their babies. 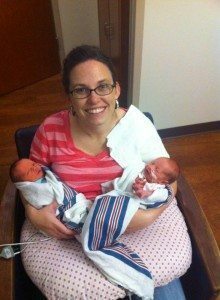 Our girls have always been in their own cribs because they spent so much time in the NICU separated, that it was just easier to keep them that way. They do, however, often take naps together, though closely supervised. As we were prepared with two cribs and borrowed two bassinets, we never had to worry about them sleeping. 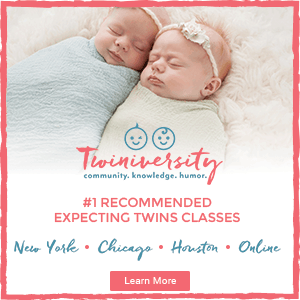 For many parents, it is either not an option for them to be separated, or they prefer the twins together, and in those cases, babies should be placed in the crib head to head; however, as soon as babies start rolling over and moving around the crib (at around three-six months), they should be separated. 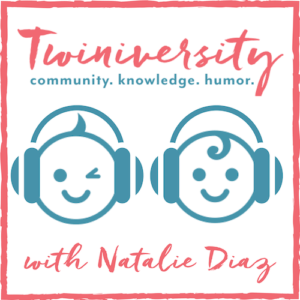 A story that I heard from one of the nurses in the NICU urged me to keep the twins separated. This nurse had grown-up twins and she told me that she had her girls sleeping together. Once, after feeding one of the girls, she placed her back in the crib with her sleeping sister and went to grab something. When she returned, the baby that had been sleeping had rooted to the smell of milk and had latched on to her sister’s mouth, preventing her from breathing. Her daughter’s mouth had already turned blue from lack of oxygen and any longer, she may not have been responsive. Thankfully, both babies were fine, but this was a lesson, even for a well-trained nurse, that accidents do happen. It is important to remember why the guidelines are there; these are proven methods of reducing the risk of SIDS. Families need to evaluate their risks and make decisions based on what works best for them, while keeping everyone safe. Unfortunately, it is often the case that everything is fine, until it is not. Alyssa Keel has worked as a social worker in both Canada and the U.S. for several years. Living in Toronto, Alyssa is mum to a rambunctious, curious, and loving two year-old boy and three month old identical twin girls. During her high-risk mono mono twin pregnancy, Alyssa began blogging, an extension of her love of writing. Alyssa loves taking photos and impromptu dance parties with her son. Follow Alyssa and her family’s adventures at adventureswithmultiples.com. About Sudden Unexpected Infant Death and Sudden Infant Death Syndrome. Centers for Disease Control and Prevention, 2011. Retrieved from http://www.cdc.gov/sids/aboutsuidandsids.htm June 2014. &  Centers for Disease Control and Prevention. Reducing SIDS Risks. Canadian Foundation for the Study of Infant Deaths, 2014. Retrieved from http://www.sidscanada.org/reducetherisk.html, June 17, 2014.